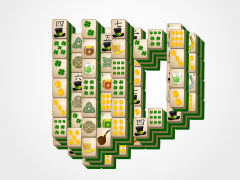 Get lucky this year with St. Patrick's Day Mahjong. 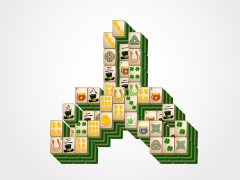 A fun festive mahjong game featuring the Irish holiday St. Patrick's Day with six mahjong layouts, fun Irish themed tiles, a fun Irish jig song, and colorful background, complete with a mahjong leprechaun! 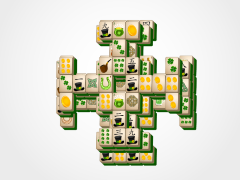 St.Patrick's Day Mahjong is a take on the classic Chinese mahjong solitaire game with a festive theme. 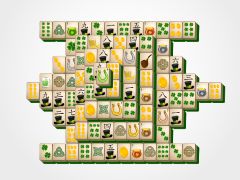 Match like tiles that are open (they have one long vertical side of their mahjong tile free) to eliminate that pair from the mahjong board. 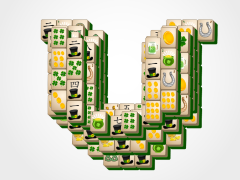 Match all the mahjong tiles on the board and you are victorious! 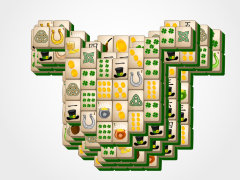 Watch the lucky four leaf clovers fall when you beat the game! 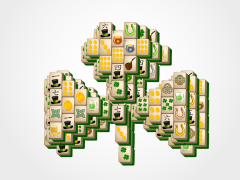 Seasonal and Flower mahjong tiles are special in the game of mahjong solitaire. 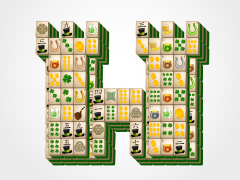 They can be matched to any other mahjong tile in their particular set. 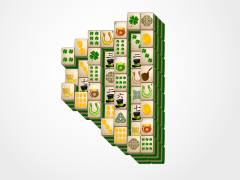 Below are the particular flower and seasonal St. Patrick's Day Mahjong tiles! Keep an eye out for them, because they can be of great help in complicated mahjong puzzle boards. 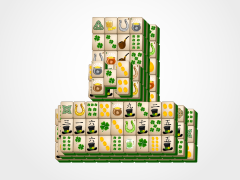 May the luck of the Irish be with you while you play this fun and exciting St. Patricks Day Mahjong!